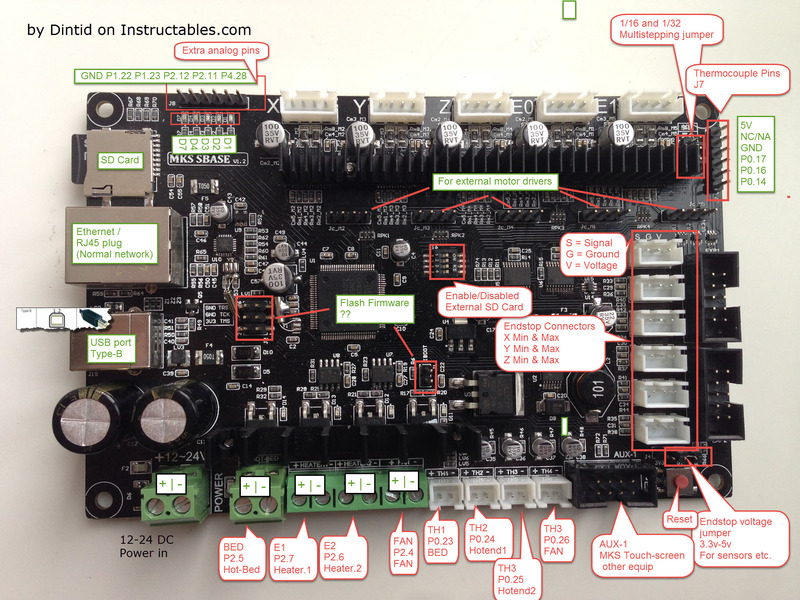 Can you tell how to use mosfets at pint 1.22 and 1.23, there r no outputs (12/24v) as pint 2.4->2.7 with this board. You need to assign the pins to the function you want them to do. This way it will activate this pin when it turns the heater on. I’m using Mosfet boards for these things. So using the signal from 1.22 to activate the mosfet, which opens for the voltage you have attached to the boards DC input. I’m using this model of mosfet boards https://www.ebay.co.uk/sch/i.html?control+MOS+FET+switch+control+panel.TRS0&_nkw=DC+control+MOS+FET+switch+control+panel&_sacat=0 but there are other links in the above instructables as well.